It’s a classic case of David meets Goliath but in the digital age. This time the big dog bites back, leaving the rest trailing behind. As a devout viewer of Channel 4 for the past 22 years, I quickly caught on to the idea of being able to watch television programmes when they weren’t on television. 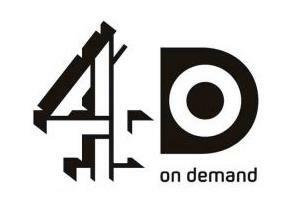 Thus, when Channel 4 on Demand (4oD) opened its web-based doors in November of 2006, I was already camped outside propped up on a deck chair enjoying a ham sandwich ready for an invite inside. At first, I was asked for ID and subsequently rejected – oh the nostalgia of only being allowed 4oD access if you were a member of Channel 4. I even remember being asked to pay once I had gained entry, you know, to see special material. This option didn’t particularly tickle my fancy however, so I declined. But once I signed-up, I was in, and to my genuine belief, I was there to stay. At first I tried to keep it quiet, on the down low, hush hush. Because here I was, in what felt like rather a state of privilege – I was getting to see exclusively Channel 4 content as much as I wanted, whenever I wanted. 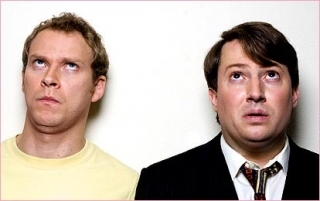 Whilst others still tried to catch the latest Eastenders or Coronation street fidgeting in the cold, I was lounging at home with my feet up watching the latest Peep Show episode, and when I felt like it, the complete series of Nigel Slater broadcast nearly 10 years ago in ‘98. I could even pop to the kitchen for a cuppa, just keeping the programme on pause. But who noticed the launch? I mean, really?! People by this stage were revelling in the apparently endless 4oD collection that was growing by the day, both with old and archive material. And by this time, over 100 million visitors had watched 4oD. 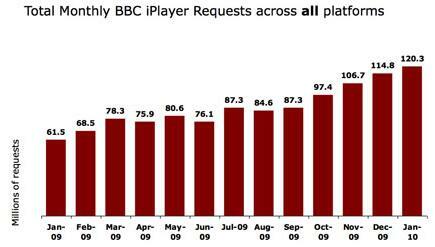 No no, it wasn’t until iPlayer’s re-vamp in the summer of 2008 that it gained any real attention. And even then, the Beeb could only offer a 7-day catch-up, whereas 4’s programmes were there for always. Faith restored. For the meantime. Slowly and surely though, things started changing – iPlayer continued to grow, as did 4oD, but in a different way. A better way. Soon, the Black Books series wasn’t available on 4oD…Well-known films started to disappear…Advertisement breaks started springing up out of nowhere, like toadstools on a perfectly preened lawn. Simultaneously, the Beeb quickly caught on to the fact they have thousands of hours of archive footage at their disposal, buried away in the depths of television history. They were soon shown the light. And as all this was happening and both 4oD and iPlayer gained their following, ITV got a little lonely. Soon they became hungry for a piece of the pie. Sadly though, it looks like they’ll remain hungry for a long time yet. The ITV Player is completely littered with advertisement breaks, to the point that viewing a simple half-hour show is a frustratingly laborious task. ‘Celebrity Juice’ for instance, has FOUR ad breaks for its half-hour show – with not just one of a few seconds, but FIVE 30 second-long clips. Not to mention the incredibly exacerbating slow speed of the site; you feel as though you should be awarded a medal for Audience Commitment by the time it loads. The sporadic pop-out window, too, is another spit in the face. 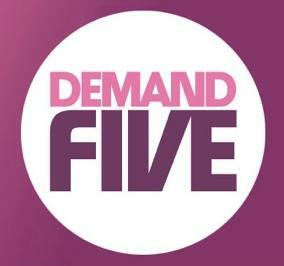 Then there is Demand 5. Yes, that’s right, Channel 5’s Video On Demand service. What is that you ask? Exactly. Let’s not dwell on it, but simply conclude that it has never been viewed by yourself, your family, or any of your immediate associates. BT Vision gave up on it in October of last year, so we can too. Now, back to the betrayal. These days, Alfa Romeos are more reliable than 4oD, and iPlayer sort of just makes sense: It’s not just one channel’s programmes up for grabs; You’ve got BBC HD now, as well as BBC One, BBC Two, BBC Three, BBC Four, BBC News, BBC Parliament, BBC Alba, CBBC BBC and CBEEBIES BBC. In iPlayer, there are no annoying Pop-ups, if there are ads, they’re far and few between and the overall streaming service seems faster. You can also download programmes onto your hard drive and keep them forever and ever, and now almost every programme can be enjoyed in High Definition! As the latest statistics reveal, viewer figures for iPlayer DOUBLED from 60m to 120m a month between 09/10! And that was a year ago. No more Peep Show for me! Sorry 4oD, but unless you pull your technical socks up, you’re going to end up like Myspace – full of creepy old men pretending they’re cool.